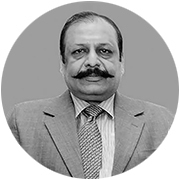 Sanjeev Agarwal has vast experience in FMCG, banking, finance and luxury retail. Over the course of 30 years, he has held senior and top-level management positions in organisations such as Unilever, Deutsche Bank and the World Gold Council. He was instrumental in developing Akshaya Tritiya as a gold-buying day across the country. Sanjeev Agarwal is an active member of FICCI’s Gems & Jewellery and Luxury & Lifestyle forums. Under his leadership, Gitanjali Exports was honoured with the Niryat Shree Gold Award by the President of India in 2012, for its contribution to the gems and jewellery industry.